The NBA Trade Deadline is always one of the best times of the season. The constant suspense, the blockbuster deals, and the dozens of “Woj Bombs” are some of the best parts of deadline day. The 2019 trade deadline was no different. There were dozens of deals that went down over the course of the last week that have gone a long way in changing the landscape of the league for the reminder of the season. With that being said there are some clear winners and losers from this year’s trade deadline. The Sixers had a great trade deadline. 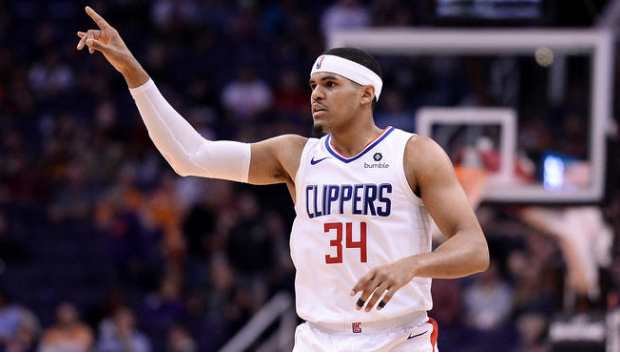 The organization was able to acquire Tobias Harris, Boban Marjanovic, and Mike Scott in exchange for Landry Shamet, Mike Muscala, and four draft picks, the most coveted being Miami’s 2021 first round selection. This deal is a slam dunk for the 76ers as far as this season is concerned. Harris who has averaged 20.9/7.9/2.7 to this point in the season now joins a starting five with Jimmy Butler, Ben Simmons, J.J. Redick, and Joel Embiid. Philadelphia did have to part with their fair share of draft picks to land Harris along with bench pieces in Marjanovic and Scott, but the price will likely be worth it if Harris clicks into this starting five like he should. The Sacramento Kings have been one of the surprises of the NBA so far this season. Sitting only one and a half games out of the Western Conference Playoffs at the trade deadline they made two major moves that showed they’re ready to try and make a playoff push this season. They were involved in a three team trade with the Cleveland Cavaliers and Houston Rockets in which they gave Iman Shumpert to the Rockets and received guard Alec Burks from the Cavs. This move was definitely puzzling as Shumpert has been playing relatively well in his role with the Kings. However, just hours later the Kings made a splash trading Zach Randolph and Justin Jackson to the Dallas Mavericks for Harrison Barnes. Randolph hasn’t played for the Kings at all this year so this was more of a salary dump than anything else. As for Barnes heading back to Sacramento this is huge for the Kings. Barnes is a great player averaging 17.4 points per game this season. Adding him will likely catapult the Kings into one of the last spots in the Western Conference Playoffs. Outside of this Barnes brings championship experience to an extremely young Sacramento team and will likely be counted on as a leader in the locker room and on the floor. Barnes also has one year left on his contract after this season making this deal a great one for the Kings. The Bucks are already in the driver’s seat in the Eastern Conference, so one might think about what they could’ve possibly done in order to be considered winners of the trade deadline. Well that question was answered when Milwaukee added stretch big Nikola Mirotic. The Bucks were already loaded with long athletic players who could shoot, and adding Mirotic to that group just makes them that much better. The biggest question mark for Mirotic right now is his health as he is still nursing a calf injury. However once Mirotic is ready to suit up for Milwaukee he will undoubtedly add some extra offense and another guy who can stretch the floor and shoot well from the perimeter. Putting the Los Angeles Lakers in the loser category this year has more to do with the deal they didn’t make, rather than anything they did. The Lakers fell flat on their faces this year. They pressed hard to trade for New Orleans Pelicans superstar center Anthony Davis. Despite GM Magic Johnson’s best efforts the Pelicans wanted nothing to do with any deal involving Davis. What really makes them losers of this year’s trade deadline is that in their efforts to acquire Davis they have seemingly alienated their young core of players in Brandon Ingram, Lonzo Ball, and Kyle Kuzma. Magic and the Lakers put all of their eggs in the Anthony Davis basket and wound up with nothing but a disgruntled locker room to show for making them clear losers in this year’s trade deadline. The Heat are next up in the loser column for this season’s trade deadline. Miami made just one deal sending Tyler Johnson and Wayne Ellington to the Phoenix Suns for Ryan Anderson. This should serve as the first indication to Heat fans that the franchise may be turning towards a rebuild in the near future. Sending Johnson and Ellington, two solid shooters, to Phoenix for Ryan Anderson who is averaging a measly 3.7 points per game so far this season is a clear downgrade for Miami. Although the Suns will reach a buyout agreement with Ellington this deal can still be considered a loss for the Heat as it is the first indication that they are moving towards rebuilding. The New York Knicks are the final loser from this year’s trade deadline. Dealing Kristaps Porzingis, someone that was once thought of as the future of the franchise, for multiple buyout candidates in DeAndre Jordan and Wesley Matthews, as well as Dennis Smith Jr. a player they could have drafted a few years back. However there is a method to the Knicks madness as by trading Porzingis they opened up a second max contract slot to use in going after the likes of Kyrie Irving and Kevin Durant among others. With that being said I will believe that when I see it as we’ve been here with the Knicks a few times. The team having their plan to load the roster with star power all for them to wind up signing a midlevel free agent that does absolutely nothing to move the needle in the right direction for the franchise. It is because of this lack of faith in the organization along with trading their superstar center for mostly roleplayers that lands the Knicks in the losers column for this year’s deadline.